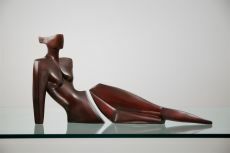 ‘Dynamic, sensual and full of harmony’ is how one can describe the sculptures made by Annette Jalilova. 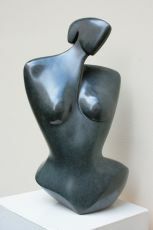 Jalilova, a former dancer, began sculpting in the 1990’s. 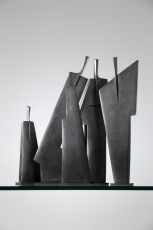 Her contemporary sculptures are characterized through a unique and innovative style. The fact that the female body is her main source of inspiration is not surprising with her background as a dancer. 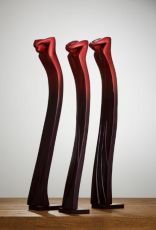 Women enable her to visualize... Read more‘Dynamic, sensual and full of harmony’ is how one can describe the sculptures made by Annette Jalilova. 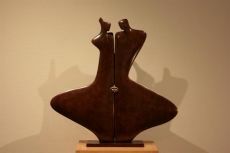 Jalilova, a former dancer, began sculpting in the 1990’s. 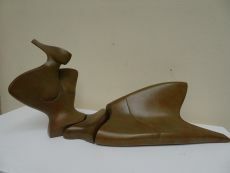 Her contemporary sculptures are characterized through a unique and innovative style. The fact that the female body is her main source of inspiration is not surprising with her background as a dancer. 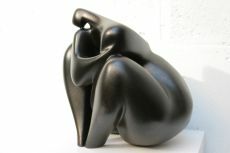 Women enable her to visualize emotions and to portray the deeper muscles of the soul in a personal manner. 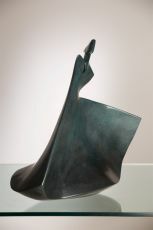 Jalilova then translates these movements into bronzes sculptures with an extremely smooth line. As a choreographer, she plays with elements of space. 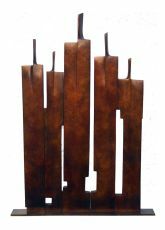 In her compositions, in which intermediate spaces do not interfere with the lines, she creates a graphic play between lines.